It was so lovely to get back into classes again last week! After a 2-month hiatus, I've missed crafting with my ladies so much. We kicked off with a Stamp-a-Stack. 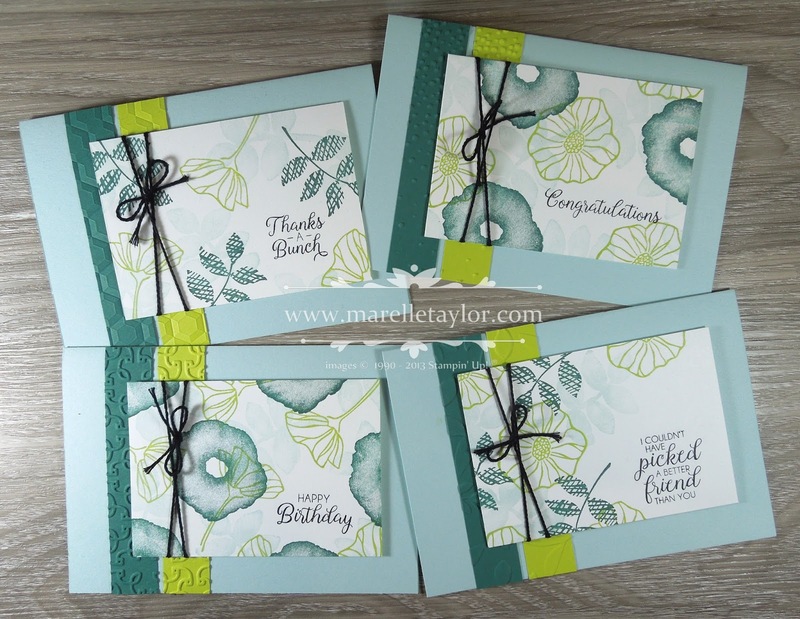 These are 4 of the 8 cards we made.,,,I had resisted buying the Oh So Eclectic stamp set until recently. But, I've seen so many lovely projects with it and it swayed me with its charms. I have to say, I'm so glad I did! I've used it a LOT already. I bought the bundle, so that I could get the co-ordinating dies (and get 10% off!). I haven't used the dies on these particular cards, but I'll show you some more cards soon that make use of the dies. My colour combination is Tranquil Tide, Soft Sky and Lemon Lime Twist, with Basic Black for the sentiment and emnbellishment. 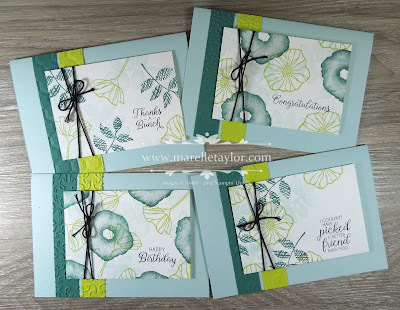 The sentiments are from the Beautiful Bouquet stamp set.